Welcome back lovelies… I hope you’ve all had an amazing start to the new year! So THE FACESHOP has a very large variety of sheet masks ranging from the Character Mask Series, to The Real Nature Series, then The Solution Series… to name a few. 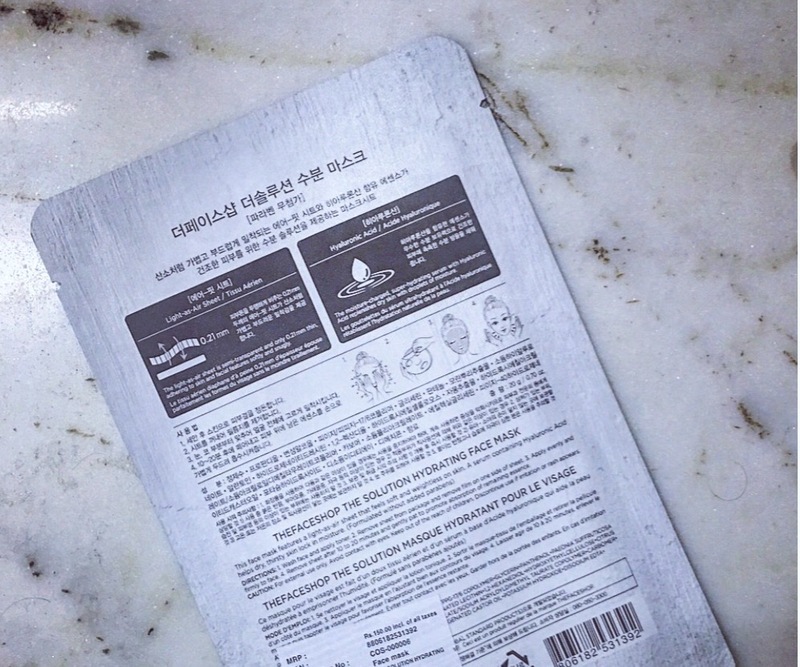 The sheet mask was pretty well-soaked in essence and the itself was clear & thick in consistency. I think as for fit, probably one of the BEST fitting masks for me. 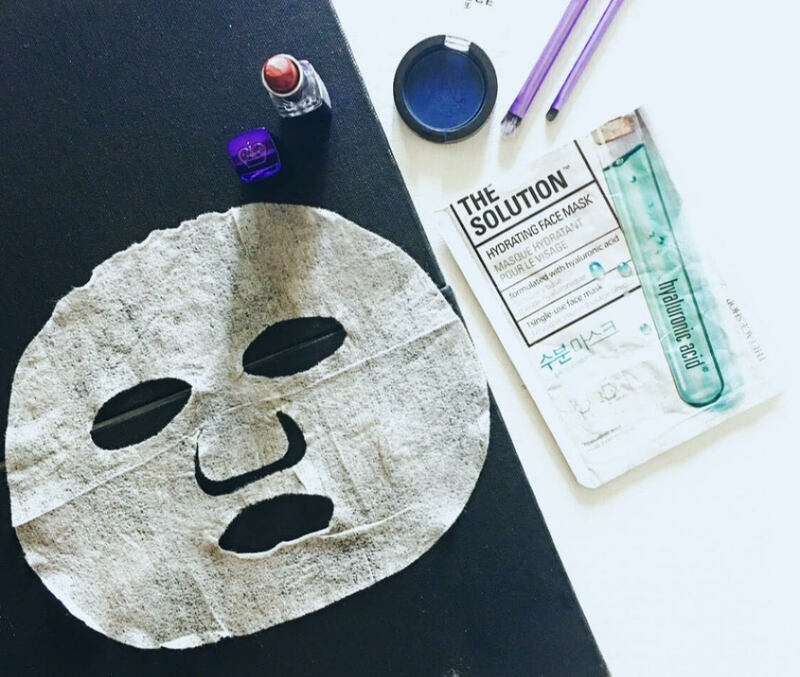 Even though the sheet has no slits to fit the face, the mask lays perfectly on my skin…in fact it feels & looks like second skin! 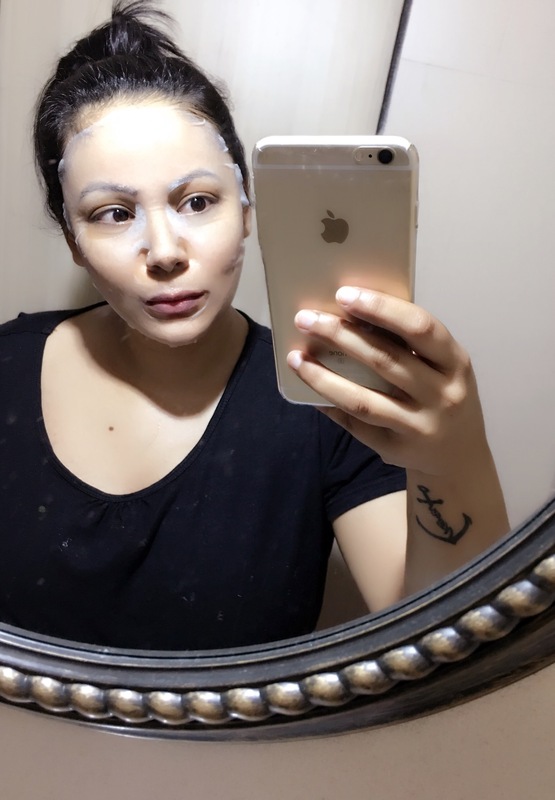 The eye & mouth holes on the mask were the ideal size and the corners of the eye holes lay just ‘right’ on my face so there was no discomfort or pokiness around the eyes. 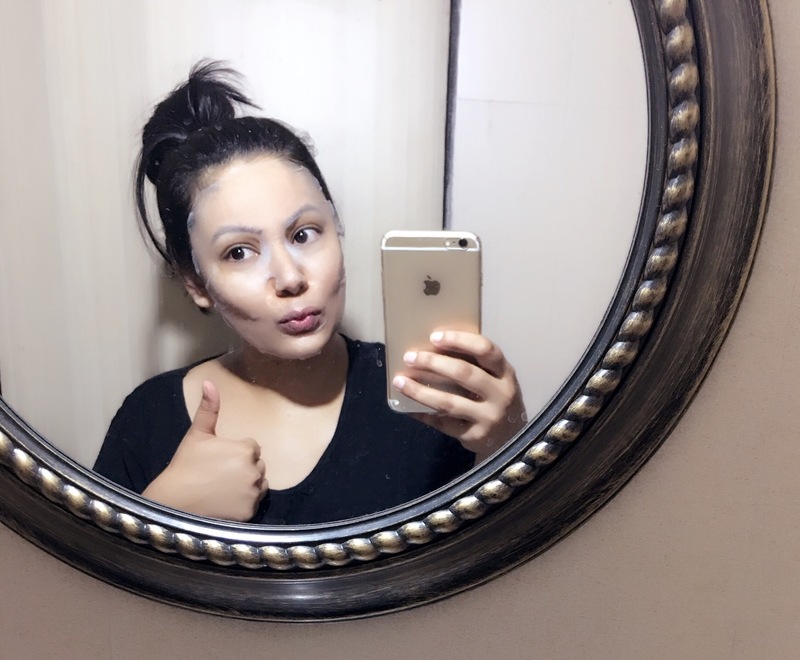 The mask felt instantly cooling & soothing on the skin… so a big thumbs up for me. I felt no irritation or itchiness the whole time I had this on. 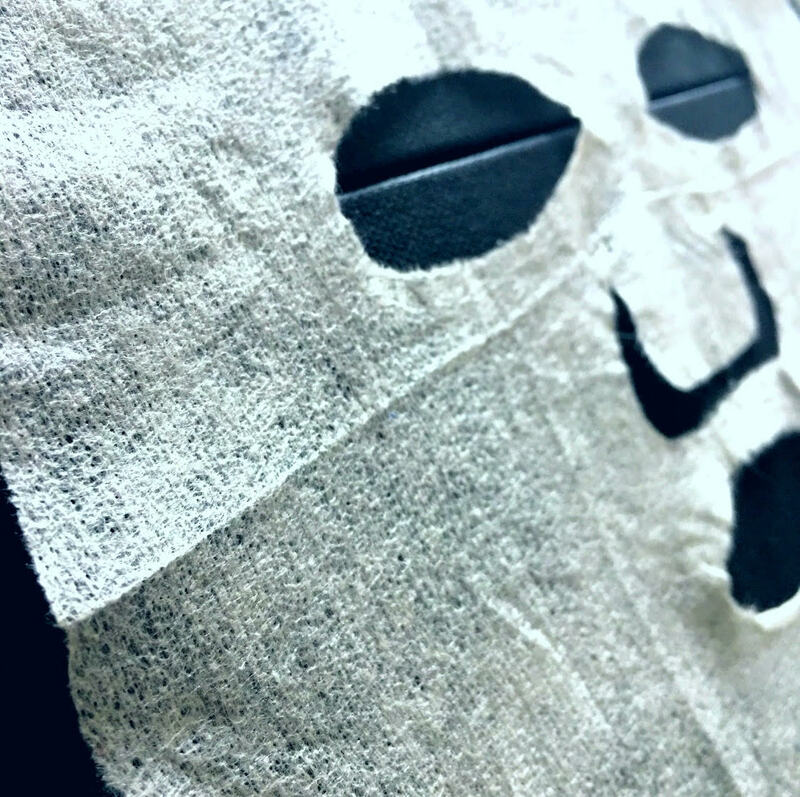 Once my 25 minutes were up, I took the mask off and patted the excess essence on my skin. 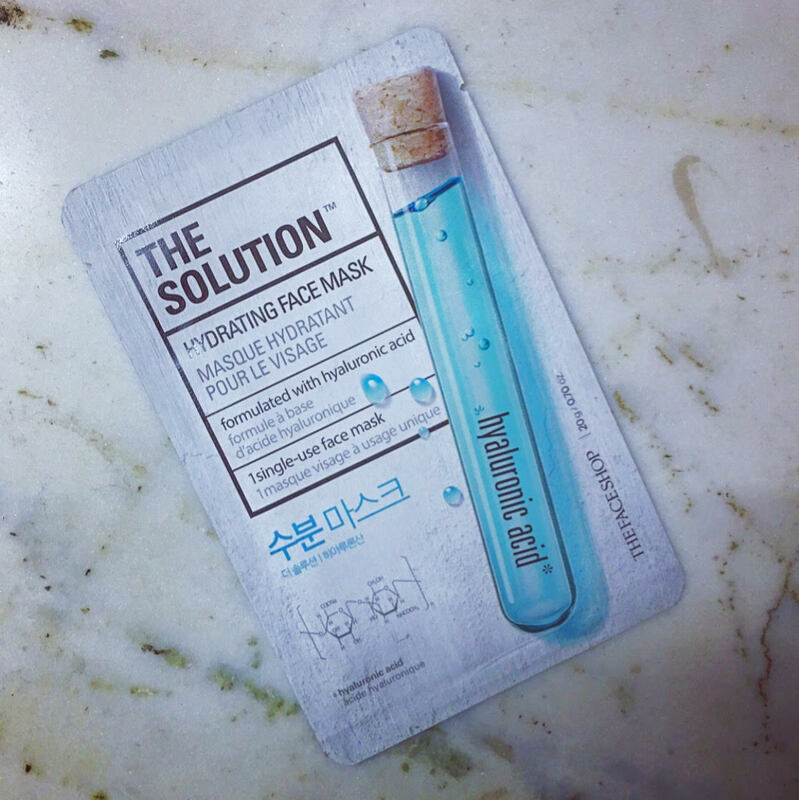 I also love the fact that the essence is not sticky at all, so when you remove the sheet mask you won’t even feel any product sitting on your skin. Absolutely YES! Give these a go. And last but not the least, here’s a picture of a very happy & excited me with the mask on!